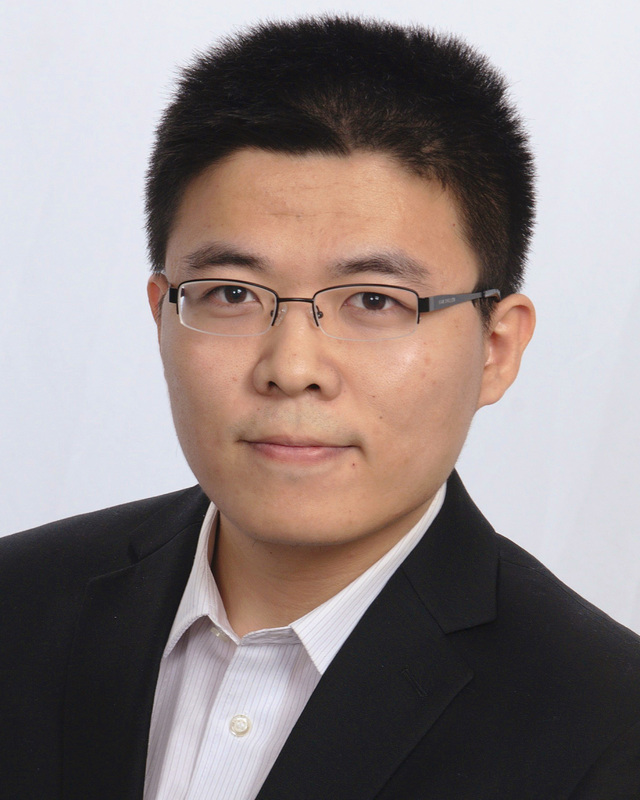 I am a postdoctoral research fellow under supervision of Xiaoye Sherry Li in the Scalable Solvers Group of the Computational Research Division at Lawrence Berkeley National Laboratory (LBL). Before joining LBL, I was a postdoctoral research fellow under supervision of Eric Michielssen in Radiation Laboratory, EECS Department, University of Mchigan, where I received my Ph.D. in May 2015 in the same group. My broad research interests lie in development of scientific computing tools and numerical linear algebras for modeling wave phenomena in electromagnetics, power, geoscience, aerospace and biomedical applications. I'm currently developing fast direct and iterative integral equation solvers for large-scale time-domain and frequency-domain electromagnetic analyses. Scalable exact arithmetic, low-rank-based and butterfly-based sparse direct matrix solvers. Frequency-domain integral equations, their direct method- and fast multipole method-based solutions. Time-domain integral equations and their plane-wave-time-domain algorithm-accelerated solutions. Butterfly schemes, compressive sensing techniques, randomized algorithms and their applications in wireless communication and electromagnetics. Provably scalable parallelization schemes on morden computing platforms.. Application of the integral equation solvers to the scattering characterization of large objects, modeling electronic/optical devices and bio tissues, etc. Y. Liu, H. Guo, and E. Michielssen, "Randomized algorithms for butterfly factorization," SIAM J. Sci. Comput., submitted. Y. Liu, A. C. Yucel, H. Bagci, A. C. Gilbert, and E. Michielssen, "Wavelet-enhanced plane-wave time-domain algorithm for analysis of transient scattering from electrically large conducting objects," IEEE Trans. Antennas Propag., submitted. Y. Liu, H. Guo, and E. Michielssen, "A HSS-type butterfly-based direct integral equation solver for 3D perfect electrically conducting objects," in Proc. IEEE Int. Symp. AP-S/URSI, 2017. Y. Liu, H. Guo, and E. Michielssen, "A linear-complexity randomized butterfly scheme for direct integral equation solvers," in Proc. IEEE Int. Symp. AP-S/URSI, 2017. W. Sheng, H. Guo, Y. Liu, A. C. Yucel, and E. Michielssen, "A butterfly-based domain decomposition SIE simulator for EM analysis of wireless communication systems in mine environments," in Proc. IEEE Int. Symp. AP-S/URSI, 2017. Y. Liu, H. Guo, and E. Michielssen, "A new butterfly reconstruction method for MLMDA-based direct integral equation solvers," in Proc. IEEE Int. Symp. AP-S/URSI, 2016. Y. Liu, H. Guo, and E. Michielssen, "A new MLMDA-based direct integral equation solver for electrically perfect conducting objects," in Proc. IEEE Int. Symp. AP-S/URSI, 2016. Y. Liu, A. C. Yucel, A. C. Gilbert, H. Bagci, and E. Michielssen, "A Wavelet-Based PWTD Algorithm-Accelerated Time Domain Surface Integral Equation Solver," in Proc. IEEE Int. Symp. AP-S/URSI, 2015. A. C. Yucel, L. Gomez, Y. Liu, H. Bagci, and E. Michielssen, "A FMM-FFT accelerated hybrid volume surface integral equation solver for electromagnetic analysis of re-entry space vehicles," in Proc. IEEE Int. Symp. AP-S/URSI, 2014. A. C. Yucel, Y. Liu, H. Bagci, and E. Michielssen, "An FMM-FFT accelerated integral equation solver for characterizing electromagnetic wave propagation in mine tunnels and galleries loaded with conductors," in Proc. IEEE Int. Symp. AP-S/URSI, 2014. Y. Liu, A. C. Yucel, H. Bagci, and E. Michielssen, "A parallel wavelet-enhanced PWTD algorithm for analyzing transient scattering from electrically very large PEC targets," in Proc. IEEE Int. Symp. AP-S/URSI, 2014. Y. Liu, A. C. Yucel, H. Bagci, and E. Michielssen, "Parallel time domain solvers for electrically large transient scattering problems," invited talk, in Proc. EUCAP, 2014. Y. Liu, A. C. Yucel, H. Bagci, and E. Michielssen, "Parallel multilevel PWTD-enhanced time domain integral equation solvers," in Proc. SC13, 2013. H. Guo, Y. Liu, H. Jun, and E. Michielssen, "A parallel MLMDA-based direct integral equation solver," in Proc. IEEE Int. Symp. AP-S/URSI, 2013. A. C. Yucel, Y. Liu, H. Bagci, and E. Michielssen, "A fast-multipole domain decomposition integral equation solver for characterizing electromagnetic wave propagation in mine environments," in Proc. IEEE Int. Symp. AP-S/URSI, 2013. Y. Liu, A. Al-Jarro, H. Bagci, and E. Michielssen, "Parallel, explicit, and PWTD-enhanced time domain volume integral equation solver," in Proc. IEEE Int. Symp. AP-S/URSI, 2013. Y. Liu, H. Bagci, and E. Michielssen, "Solving very large scattering problems using a parallel PWTD-enhanced surface integral equation solver," in Proc. IEEE Int. Symp. AP-S/URSI, 2013. Y. Liu, H. Bagci, and E. Michielssen, "Progress in parallel implementation of the multilevel plane wave time domain algorithm," in Proc. IEEE Int. Symp. AP-S/URSI, 2013. Y. Liu, A. C. Yucel, V. Lomakin, and E. Michielssen, "A scalable parallel implementation of the plane wave time domain algorithm on graphics processing unit-augmented clusters," in Proc. IEEE Int. Symp. AP-S/URSI, 2012. First Price in Student Paper Competition, 12th International Workshop on Finite Elements for Microwave Engineering, 2014. Second Price in Student Paper Competition, 28th Annual Review of Progress in Applied Computational Electromagnetics, 2012. Excellent Graduate Student of Shanghai Jiao Tong University, 2010. Reviewer for the IEEE Antennas and Wireless Propagation Letters, IEEE Journal on Multiscale and Multiphysics Computational Techniques, Journal of Applied Computational Electromagnetics Society, International Journal of Numerical Modelling: Electronic Networks, Devices and Fields, International Journal of Antennas and Propagation, the Open Electrical and Electronic Engineering Journal, and Journal of Microwaves, Optoelectronics and Electromagnetic Applications. Session Chair for "Time-Domain Numerical Methods," IEEE International Symposium on Antennas and Propagation and USNC-URSI Radio Science Meeting, 2012. Session Chair for "Acceleration Rechniques for Integral Equations," IEEE International Symposium on Antennas and Propagation and USNC-URSI Radio Science Meeting, 2017. Secretary for IEEE Southeastern Michigan Section, Technical Activities Committee. Treasurer for IEEE Southeastern Michigan Section, Chapter IV (Trident).